Check out this SWEET 1964 Large Art page, which was penciled by Iron Man's "FIRST"artist: Don Heck, and inked by Mike Esposito [as Mickey Demeo] from the story titled: "Where Walk the Villains!" This nice page features Iron Man in 3 panels, as "Happy" Hogan isn't so happy on this page. He has quit his job at Stark Industries and Pepper Potts is plenty mad at ol' Shellhead about that! 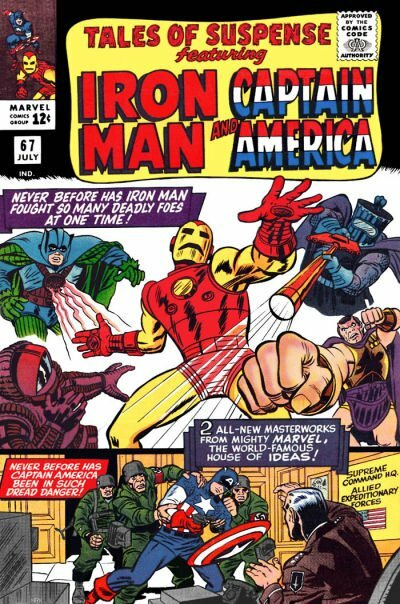 Twice up 1960's Marvel art is red hot right now, and the supply cannot keep up with demand! 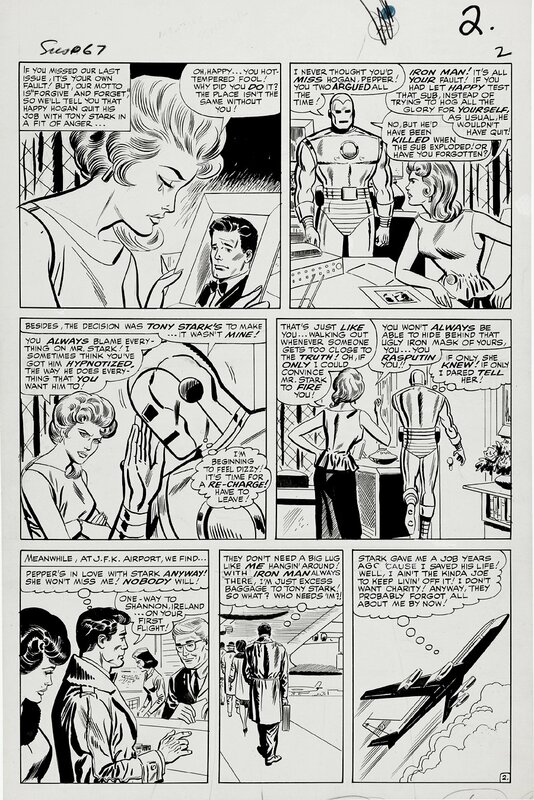 SILVER AGE Marvel Super hero pages (Iron Man art in particular) are VERY hard to find in the hobby, so don't miss out on a great opportunity here to own a nice SILVER Age 1964 LARGE ART Marvel Iron Man page! ALL art on our website (including this one) are able to be purchased with VERY fair time payments, and trades are always considered towards "ANY" art on our website! Just send us an email to mikeburkey@aol.com and we can try to work something out.